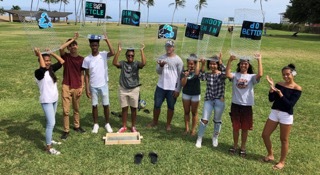 Kōkua Hawai‘i Foundation, in partnership with Kupu, launched the third annual Hawai‘i Youth Sustainability Challenge, which supports student-led environmental initiatives. Students who want to help their schools or communities go green now have a chance to earn funding to back their big ideas. Applications are now open and due October 19. Students in grades 6-12 from public, private, and charter schools statewide are encouraged to apply.